One (or more) Sentence Summary: I ABSOLUTELY LOVED IT! 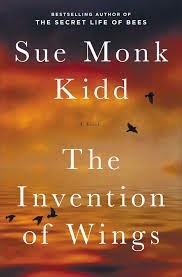 I listened to The Invention of Wings from Audible.com and couldn't get enough. What an amazing story. I am still in shock when I read a book based on slavery and what they endured. 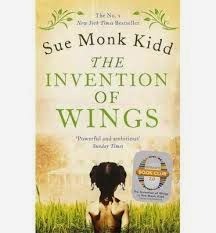 The Invention of Wings is a MUST read. You will not be disappointed. Favorite Character(s): Sarah and Handful. Two amazing women with an uncharacteristic vision given the time period. They are both heroines in my mind. I have to mention Charlotte (Handful's mother), what a STRONG women. I am just in awe over the characters and Sue's ability to make them so real to me. Fabulous story and beautifully written. Fast read/slow read: I could not wait to get back to my audible book - listen to it all the time. Was hooked right away and didn't want it to end. The audio was fantastic. Cover: I would not have guessed what the story was about based on the cover. I think it could have been better. I found this cover and like it much better. 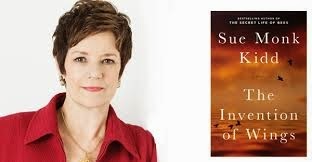 Would I Read Other Books by the Author: Yes, I would love to read The Secret Life of Bees. I've heard so much about this book. I've really got to add it to my list!